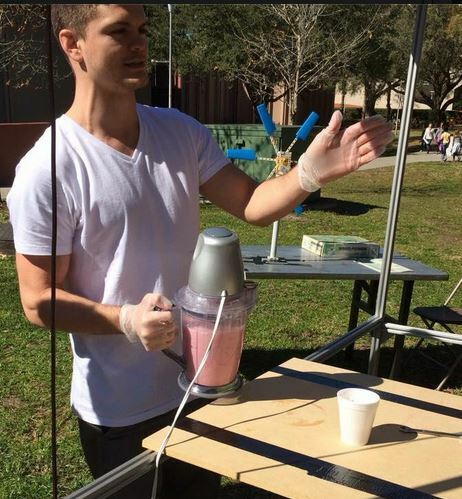 USF’s International Solar Energy Society (ISES) showing how to make solar-powered smoothies at the USF Engineering EXPO recently. Recent efforts by Floridians for Solar Choice caught our attention, and we reached out to see if we could get a solar energy display at Gulf Coast MakerCon this year. They connected us with Dillion Stafford, a student at the University of South Florida, who is a member of the university’s new Solar Energy Society. He tells us more about the organization and what they’re bringing to Gulf Coast MakerCon. The International Solar Energy Society (ISES) at USF is the first student chapter of the international organization headquartered in Germany. This student organization at the University of South Florida on the Tampa Campus. ISES at USF serves to educate the students and community about all renewable energy. ISES hold two large community events annually. including USF professors, political figures, solar installers, local activists, and energy companies. This event also includes solar installers and USF students who showcase the latest solar technology and USF renewable energy research. In October, ISES hosts the Tampa Bay Solar Energy Tour. This tour features a few speakers such as USF professors and energy companies, but focuses more on the tour where buses take homeowners to homes and businesses around the Tampa Bay area that utilize renewable energies, including solar panels and heating. 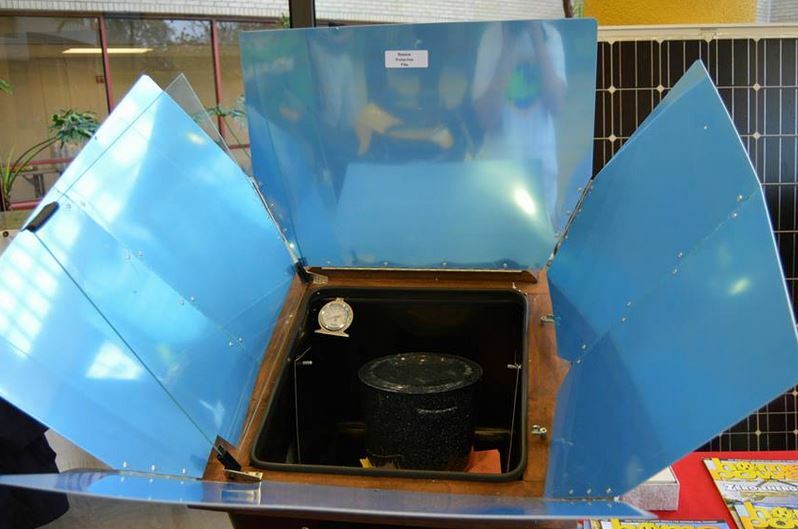 At the booth, we will have a solar powered cart that will be creating power for several items. We will use the solar energy to power a blender to make smoothies for anyone who wants one. We will have educational kits for children and presentations on the importance of solar, the implications of a conversion to renewable energy sources, and Floridians for Solar Choice members who will speak on current grassroots movements to make Florida a solar friendly state. Come get your solar powered smoothie at Gulf Coast MakerCon on April 18th, and consider the power of the sun of the make life in the Sunshine State more sustainable. This entry was posted in Energy, Science, Sustainability and tagged education, Floridians for Solar Choice, Gulf Coast MakerCon, Gulf Coast Makers Festival, International Solar Energy Society (ISES), MakerCon, makers festival, solar energy, solar powered smoothies, USF Solar Energy Society. Bookmark the permalink.